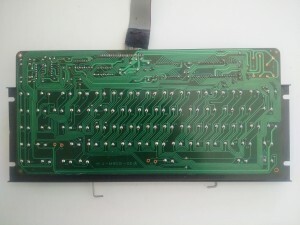 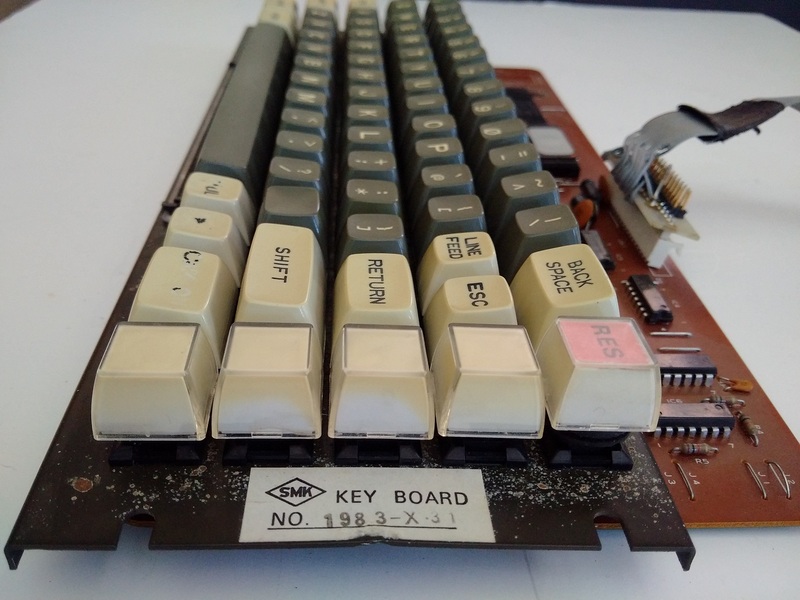 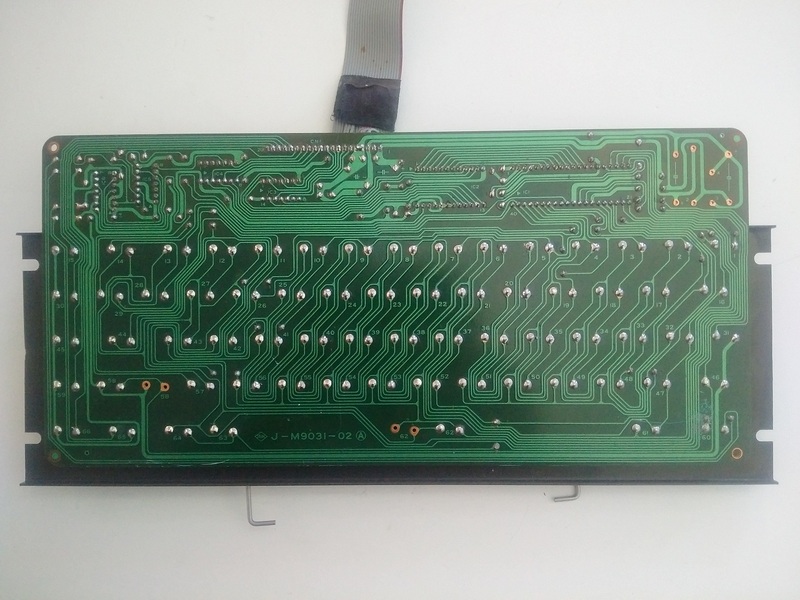 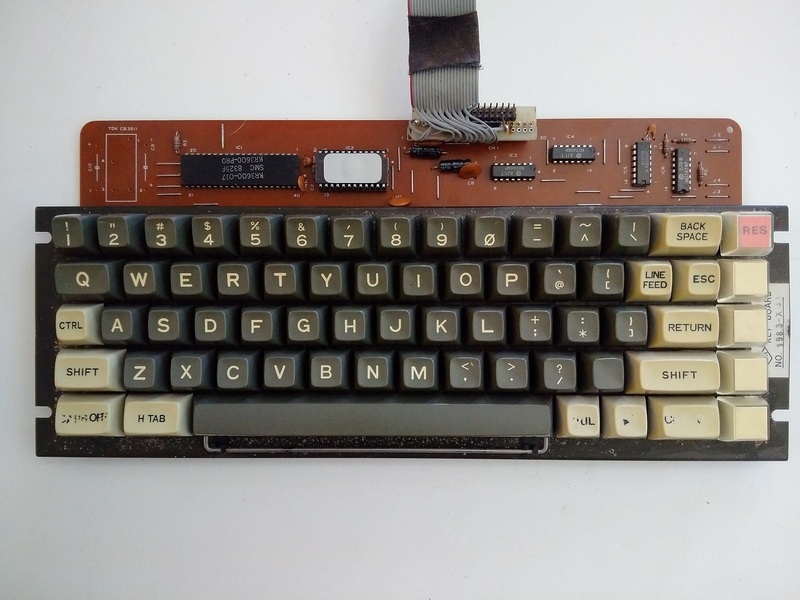 This is a vintage SMK keyboard assembly that uses SMK key switches (thanks for the correction Daniel). 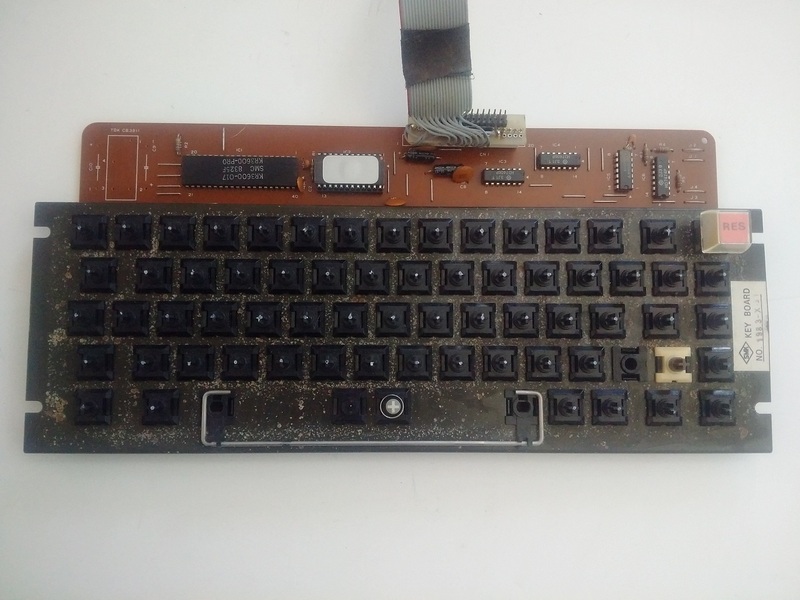 This keyboard has user labeled keys and some of the key caps have had pad printing on top that has worn off over time. 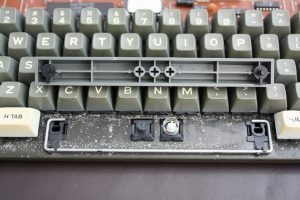 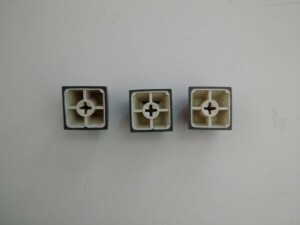 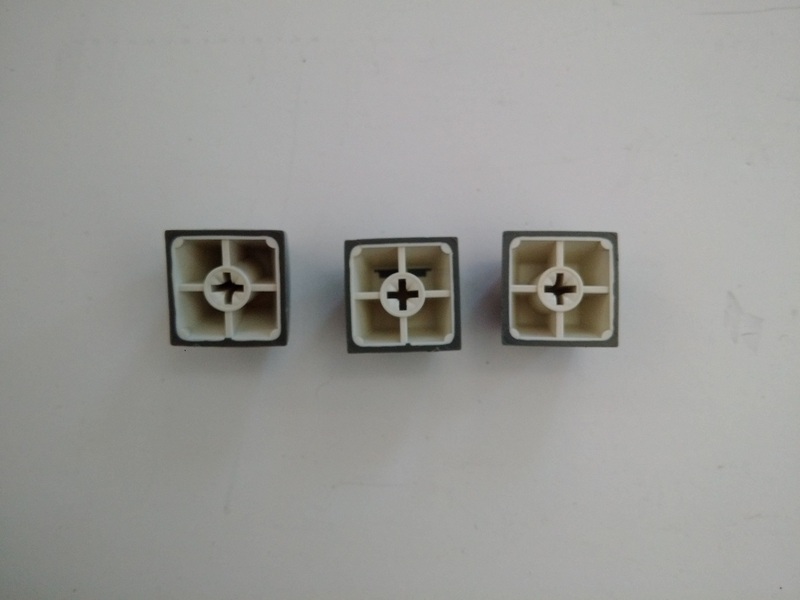 The main letter key caps are not pad printed but molded double-shots (two different coloured plastics used to make one key switch). Sadly, this one was in rough shape when I first got it. 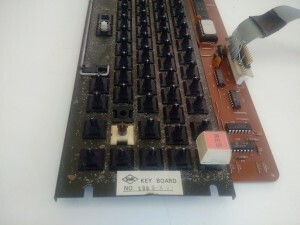 Even after cleaning, the back metal plate that the key switches are installed onto has pitted paint. 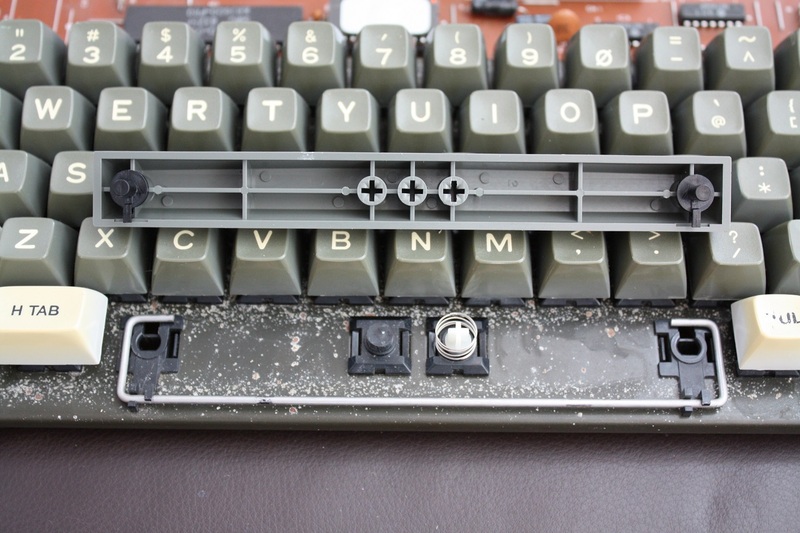 The switches are SMK, too. If you were to remove one, you will see “SMK” written on the bottom.